On the third Thursday evening of each month I attend a dinner hosted by friends, Nancy Vienneau and Gigi Gaskins. 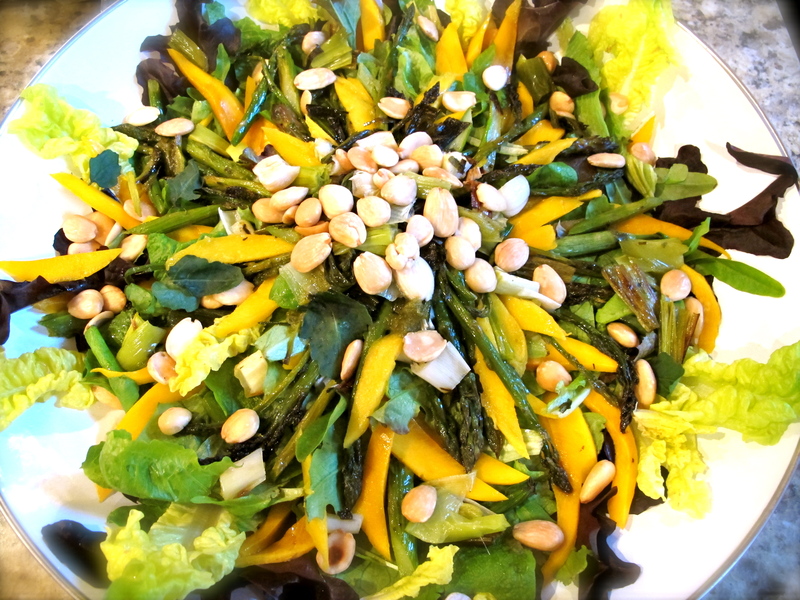 It is appropriately called “Third Thursday” and is a potluck dinner party made up of many folks whose common love of interesting, healthy, local foods is the common thread. March’s Third Thursday Dinner fell on St. Patrick’s Day. 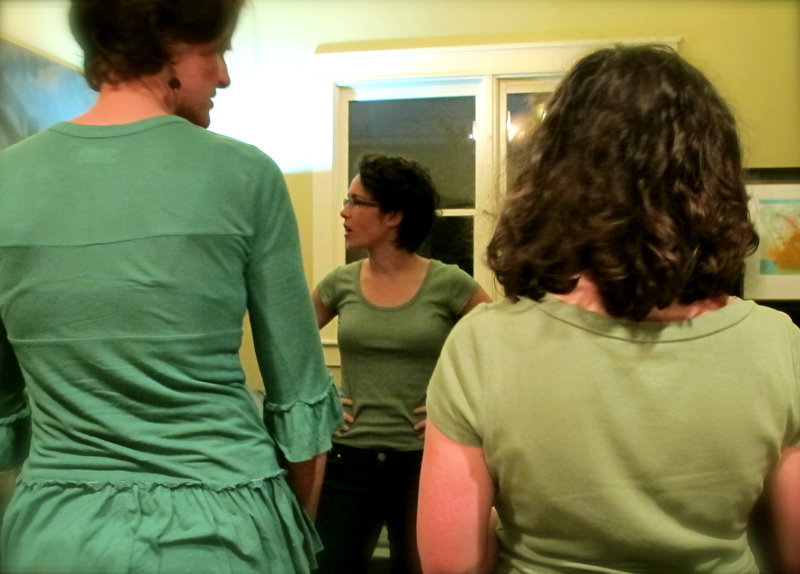 As you can imagine there were lots of dishes honoring “green”. Spinach, green beans, basil, avocado dishes were plentiful. 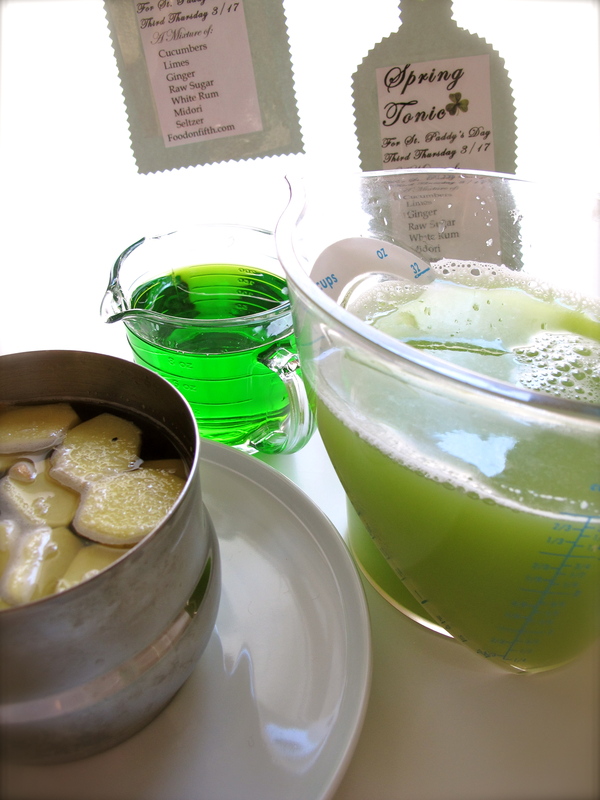 For this occasion I created a “Spring Tonic”. 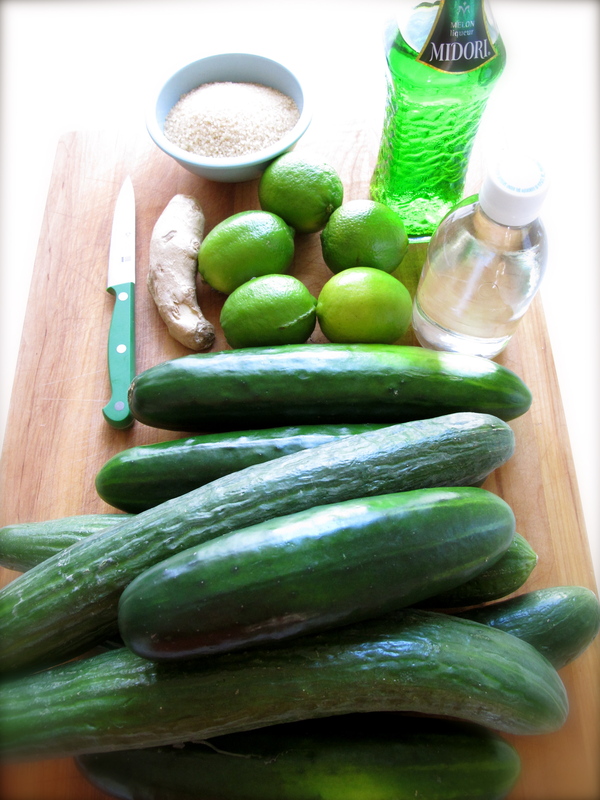 With cucumbers & lime juice as the main ingredients this “tonic” was the essence of “all things green”. 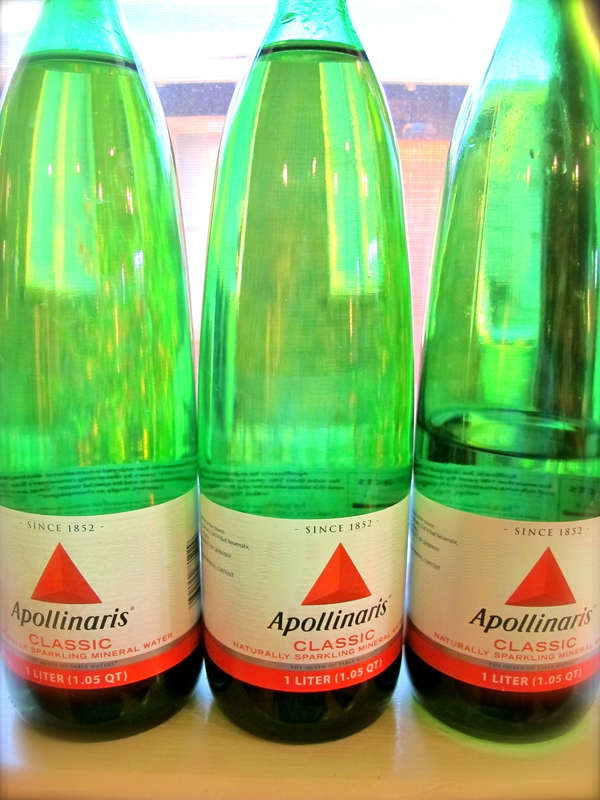 This tonic is easy to make, beautiful, refreshing, not too sweet and is like drinking a glass of spring. 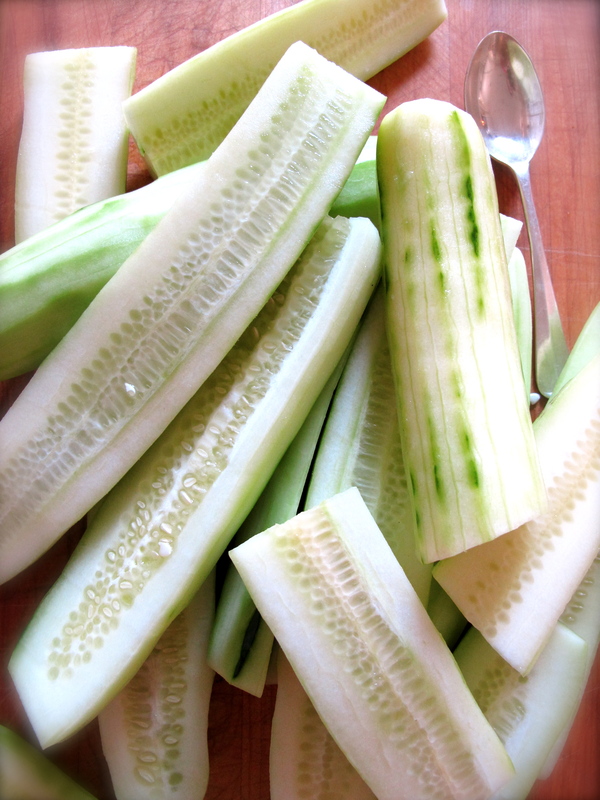 Trim and peel cucumbers. Scrape seeds out with a spoon. Cut into chunks and place in food processor. You may have to do this in batches. 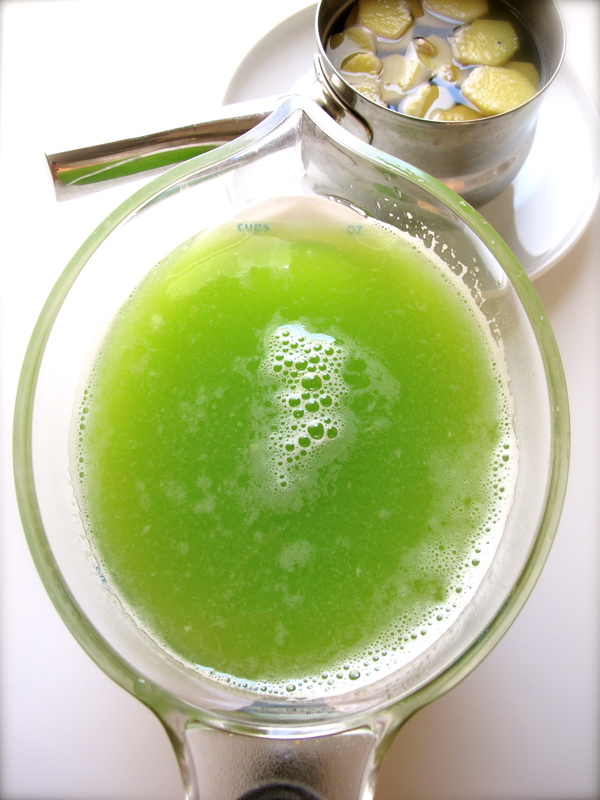 Process until cucumbers are pureed with no chunks. Pour puree into a colander lined with two layers of cheesecloth or into a fine sieve sitting over a bowl to catch the cucumber juice. 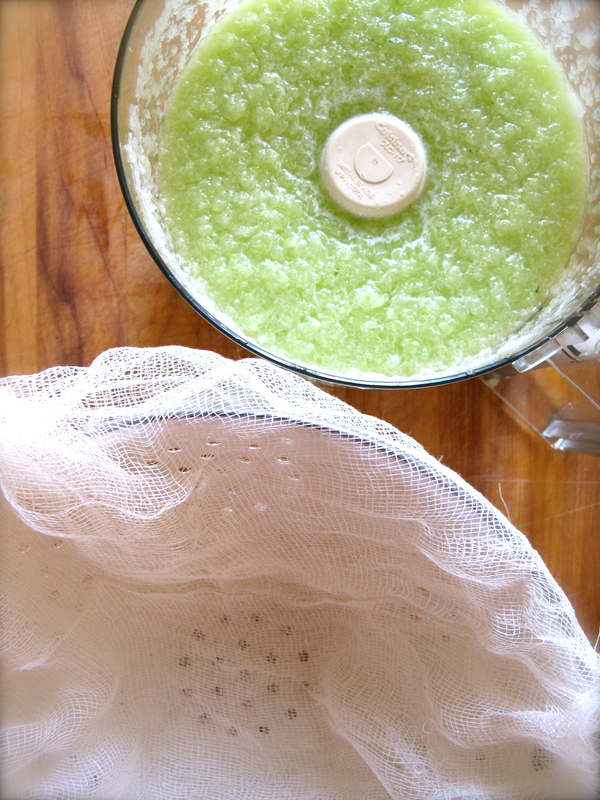 Use a rubber scraper to press the puree through the cheesecloth to get out most of the liquid. When finished you should have about 3 cups of liquid. This color of green is so beautiful like spring grass. 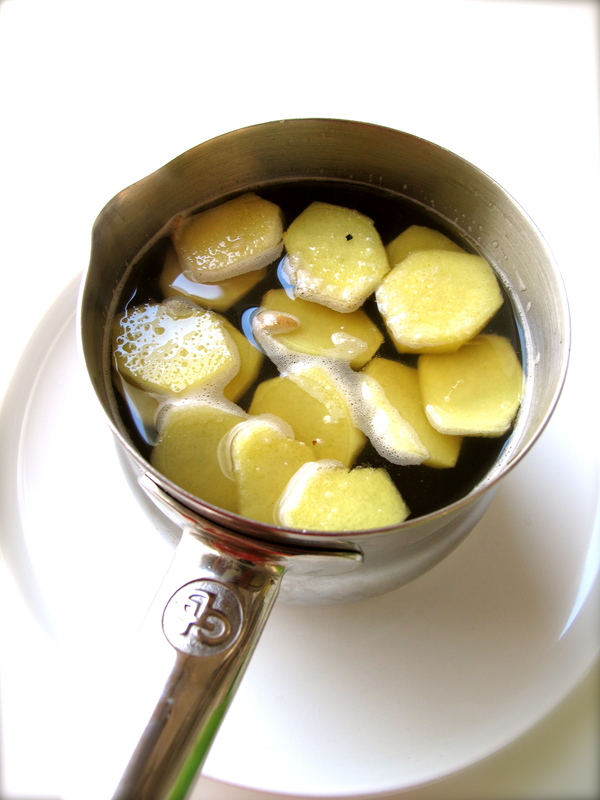 To make Gingered Simple Syrup: Peel ginger & cut into slices. 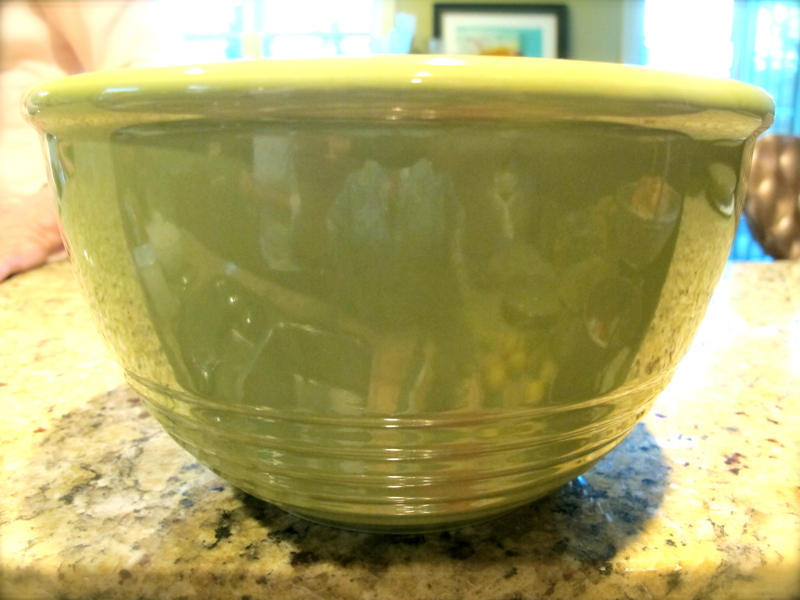 Place ginger pieces, raw sugar + 1.2 cups of water in a saucepan over medium high heat. Bring to a low boil, cook for about 5 minutes, stirring often. Remove from heat to cool. 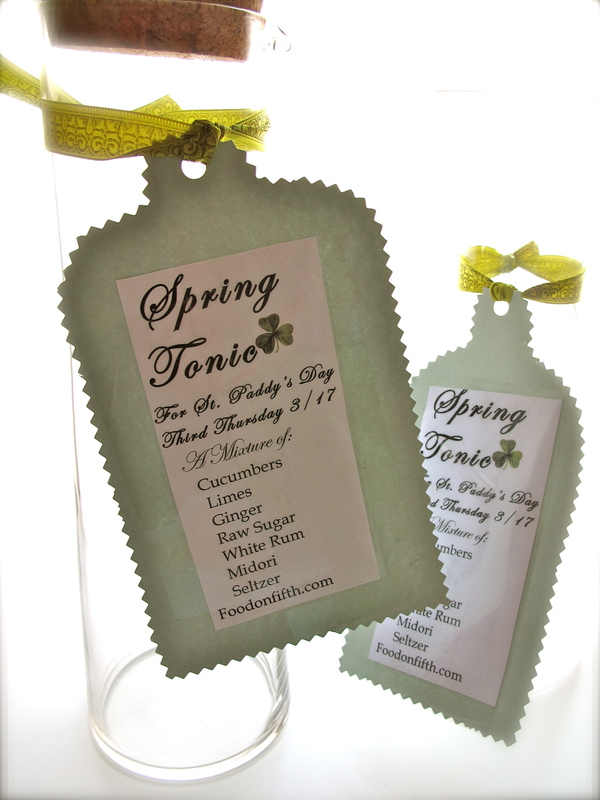 As I was taking my Spring Tonic to a dinner party I made labels for two 1 qt containers to share the ingredients with guests. 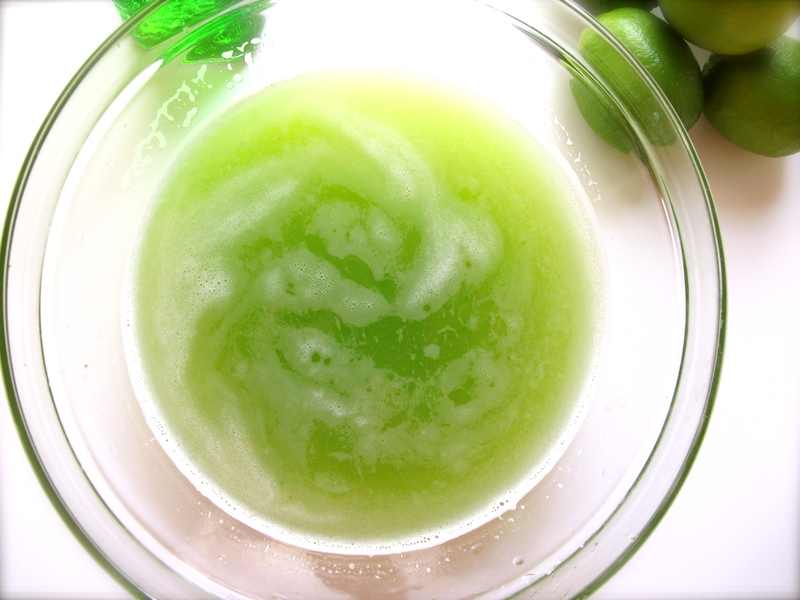 Into each 1 quart container add half of the Cucumber liquid, half of the Midori, half of the fresh Lime Juice, half of the Gingered Simple Syrup with ginger pieces & half of the White Rum. Stir mixture in each container until well mixed. Cover and chill until ready to drink. To Drink: Place ice in a glass, pour in some Spring Tonic & add a splash of seltzer water, club soda or mineral water with gas. 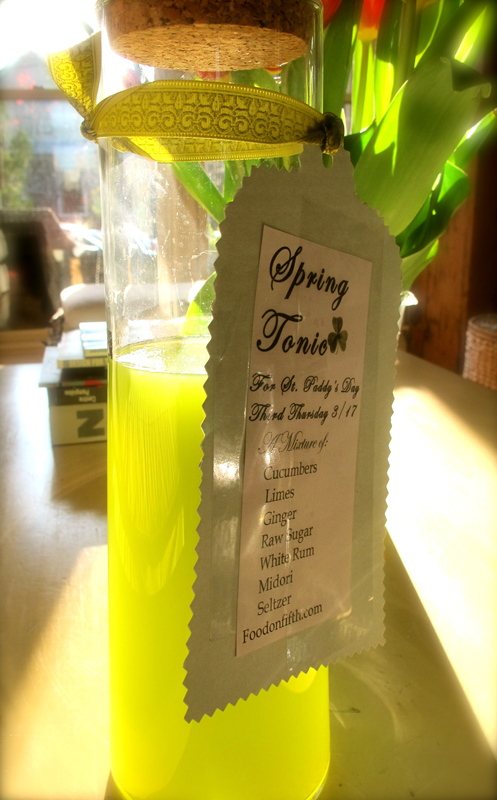 While concocting your own “Spring Tonic” you could enjoy some music by the band “Tonic”. Check them out on itunes for a listen. A Herbal tonic is used to help restore, tone and invigorate systems in the body or to promote general health and well-being. You know, cucumbers are my favorite drink ingredient. beautiful beautiful greens all around! so refreshing, that it could be a bit risky! 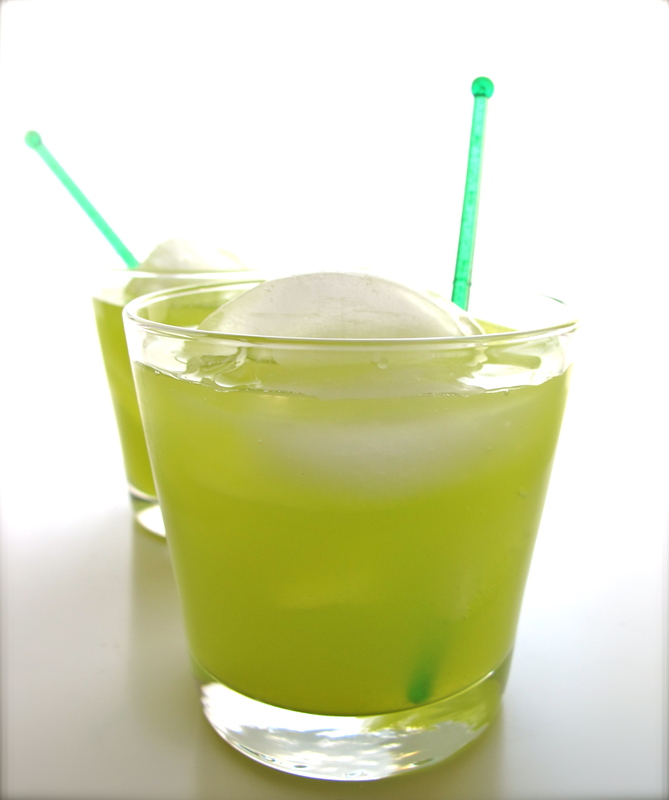 let’s take some to bip bip…sounds better than pina colada…and you can be healthy! Love it Teresa, another cocktail for 3rd Thursday and what a beautiful shade of green, I am definitely going to try this one! I was searching for something good to serve my family during our Easter celebrations and egg hunting. This sounds fresh and bright and delicious. Can’t wait to try it out. Oh, cucumbers, how I’ve missed you. Rachelle, thanks for the response. 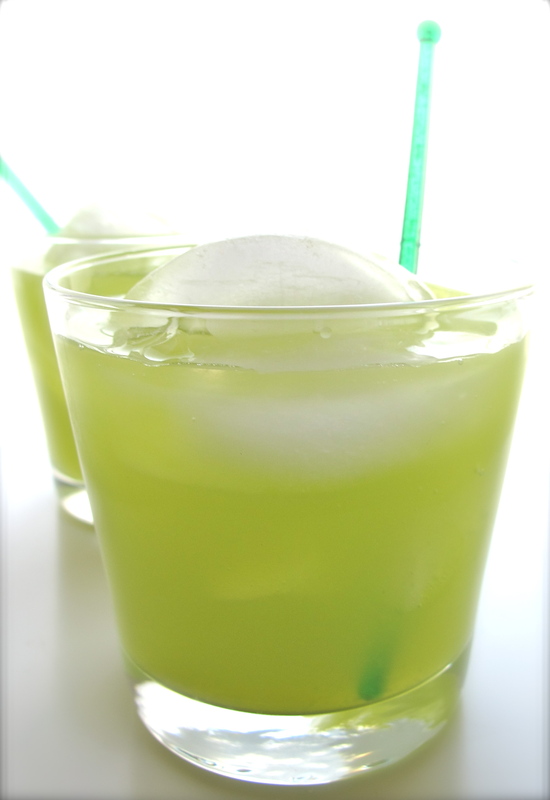 This “tonic” is truly delicious and reminds me of all things Spring. Salut!